Over stressed is good for your job search. I came across this quote the same day I heard a client repeat she was overwhelmed with her job search. Her overwhelm caused her to “play” at her job search. She would do something, get frustrated and stop. Then pick it up in another day or two and the same thing would happen. This is typical of job search overwhelm. Many job searchers become overwhelmed in their job search, and it’s understandable. It is especially true if someone starts a job search after being employed for a several years and has to start from scratch. They believe all you need is a résumé and a newspaper. Quickly they learn the truth. Today’s job search includes a LinkedIn profile, constant tweaks to the résumé, networking, social media, company research, internet searches, elevator speech, and interview preparation. To overcome job search overwhelm, simplify your job search. No, I haven’t lost it. But there are many ways to break down the job search into small, bite-size tasks. Let’s look at a few. Instead of spending hours of job boards and company websites, set up Google Alerts of the jobs you are interested, openings in targeted companies. Let the information come to you instead of spending hours of looking online. Create a basic resume for the job you are looking for. Look at several job descriptions for what is similar and use that information for your résumé. When you find a job, you want to apply for, tweak it to incorporate the keywords found in the job ad. Also, modify it to match this particular job. Spend a little time each day writing your SOAR, CAR, PAR, SMART stories. These stories represent a problem you faced on the job, the action YOU took to resolve it, and the results of YOUR action. Write one or two a day and you will have plenty by the time you interview. If you participate in social media, use something like Hootesuite to post. One post can be sent to several social media accounts. You can set up recurring posts at the same time. Practice your interview answers a few at a time. You can do this while driving, waiting for something/someone, or dedicate a few minutes each day. Large tasks can be broken down into smaller more manageable units instead of sitting down and tackling the task in one shot. Use reverse engineering to see what you need, and what needs to be done. Make a plan for you day and follow it. Don’t let any one task dominate the entire day. Mix it up to keep you from becoming too frustrated. Multitasking doesn’t work. It only makes you more stressed. Focus on what you are doing and nothing else. When you are finished, or the time is up for that task, move on to something else, and forget about it. Take deep breaths when you feel stressed. Put the task away for a moment and do something else. Go back to the previous task when you are ready. Don’t go it alone. You can find help in many places. Enlist the help of another job searcher and share your thoughts. Find a job search group near you that offers a question and answer session. Hire a professional career coach help you know what to do and how to do it. A professional career coach will outline a strategy that is tailored for your needs and wants. The job search is stressful. But there are ways to work smarter not harder. You have enough stress in your life without letting your job search get the best of you. To your success! Do you have everything you need for your job search? 2 Comments to "Help My Job Search is Killing Me!" Excellent post. There are sufficient advice on what to wear, what to do and what to say when looking for a job. But handling or managing the emotional side of job hunting is, for the most part, ignored. 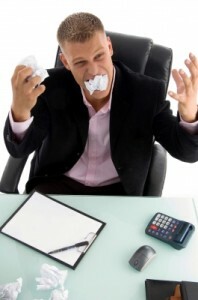 Often stressed enough dealing with a loss of income, the stress of job hunting (sales) is overwhelming. Practice 1 hour per day. Start with tape recorder or even better a video recorder. Have some prepared interview questions. play them off the tap recorder and video record your response and watch it, You will get better after you get over the embarrassment. Top actors and top salespeople practice before they go to work. Set a goal of 2 applications out per day. Make 2 followup calls per day. You have great advice here Arlene. Thank you Robin. I try think of things others aren’t writing about. The job search is much more than resumes and cover letters. I am a “wholistic” coach. I am concerned about the job searcher and the job search. The job searcher is often overlooked. The human element of the job search will make or break it. Take care of you. « Is There One Best Way To Get A Job?